Power Pop Jam Band shaped into Hip Children's music. Catchy kid's songs that won't annoy you! 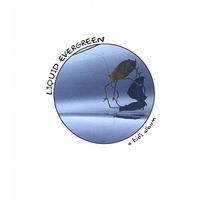 Introducing, "a kid's album" by Liquid Evergreen, a splendid set of original catchy kid's songs that won't disappoint you! You and your kids will love singing and bouncing along to these fun energetic tunes. A kids album delivers hypnotic sing-along rounds, story songs, and catchy hooks that'll get stuck in your head for days! Don't hesitate, buy your copy now! As a bonus, if you buy now, you will receive by email a .mp3 download of Classical Guitar Ed's enchanting masterpiece album. The perfect soundtrack of classical guitar to have your next meal to, or for your little one to fall asleep to!